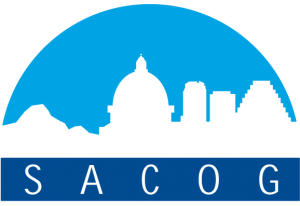 We’ve added a number of new speakers and items to the agenda for Capital Ideas in Sacramento this November 16-17. 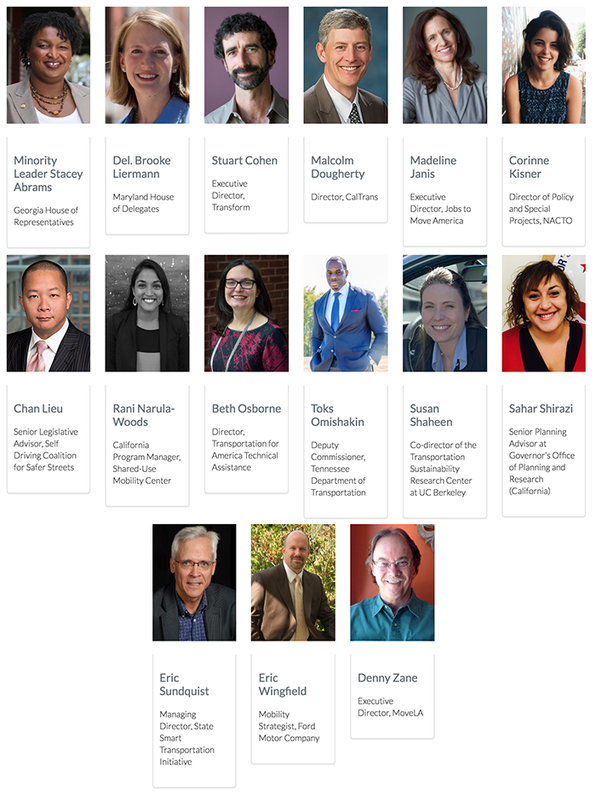 Below, check out the list of confirmed state legislators, advocates, local leaders, policy experts and others who will go in-depth about raising new money and changing state policy to help build smart, ambitious projects that will better connect local communities. You can view the full, current agenda here. We’re lucky to be joined by this sharp pair of keynote speakers. Speaker Greg Hughes, a notable Republican in Utah’s state legislature, has been an advocate for increasing state transportation revenues and a champion for the ongoing transit investments that have been defining the Salt Lake City region as a terrific place to live and do business. 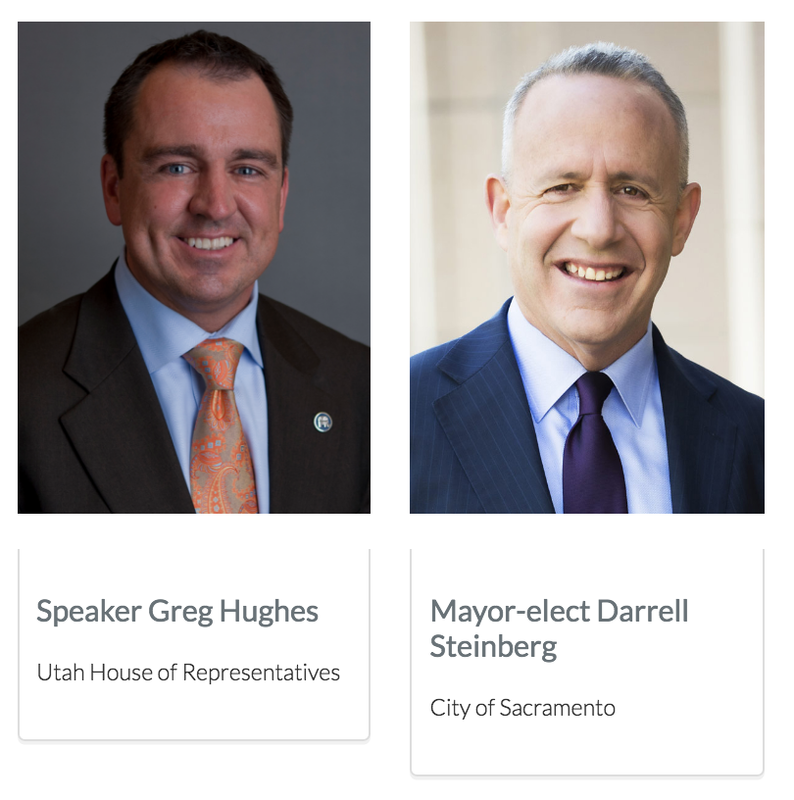 We’re also proud to have Sacramento Mayor-elect Darrell Steinberg on hand to provide his perspective as a former state legislator who helped produce the state’s climate change law, while also addressing the new mobility challenges that await him at the municipal level in Sacramento. The terrific speakers on our panels will be discussing a slate of topics that include recent state legislative efforts to reform outdated policy or raise new money for transportation, the future of the smart city, how a few state departments of transportation are upending the conventional wisdom and making smart reforms, and an in-depth dive on the many encouraging things happening in California — including their notable shift away from evaluating transportation projects based on level-of-service. And lastly, the breakout groups really set Capital Ideas apart, giving you a chance to take policy into practice. In these workshops happening in the afternoon on both days, you’ll have the opportunity to go hands-on with policy experts who can discuss their experience and help provide valuable feedback in small group settings. Pardon us, but you'll be scrolling for a minute — it's a long list! There are still a limited number of hotel rooms available as of right now, so register now and be in the room for one of the best “roll your sleeves up” transportation policy gatherings around. Please help us spread the word via Facebook, Twitter, and email. Click to share, or forward this email to your friends and add a personal message at the top. We also recognize the generous support of our many philanthropic partners who have helped make this conference possible. Dues-paying T4America members get $100 off registration. Inquire with us about getting a promo code. Find out more about T4America membership here. We’re dedicated to improving transportation policy at the state and local level. We’re currently offering full and partial scholarships. For more information contact Alicia.Orosco@t4america.org. A reminder that Street Lights: Illuminating Implementation and Equity in Complete Streets will be taking place on the day before Capital Ideas begins. Get two great conferences out of one trip to California — register today to secure your place in the room.